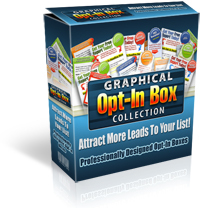 Dear Friend, Graphical Opt In Box Collection with Master Resell Rights is here. That's a no brainer - of course! Building your list is by far the most difficult part. Introducing... 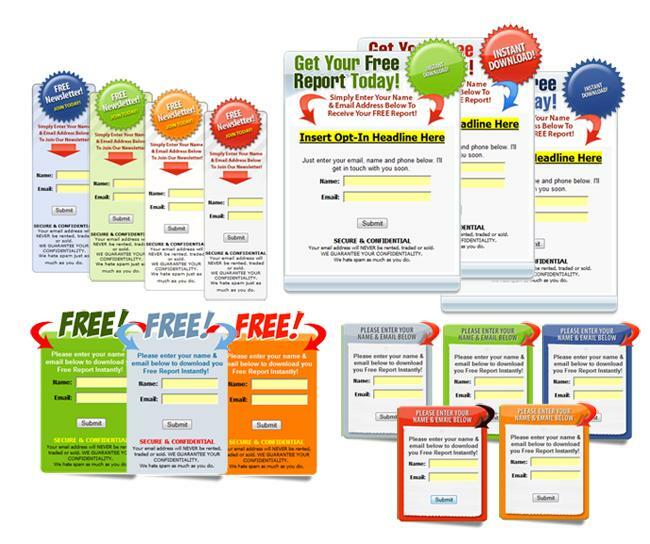 Elegant and Classy Graphical Opt-In Boxes. 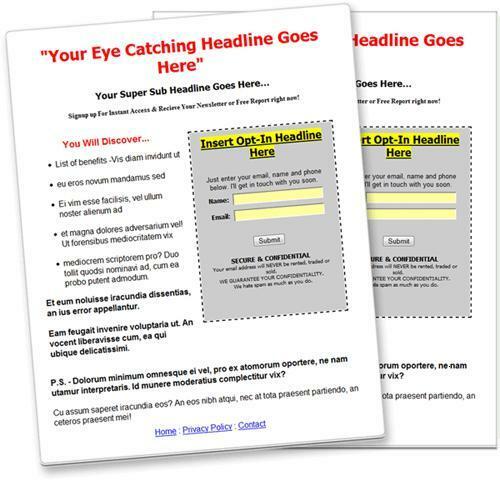 Fast, Easy Way to Increase Your Opt-In List By Grabbing The Attention of Your Visitors. Better still, this amazing package costs allot less than you may think! [NO] You may NOT give these graphics away. [NO] You may NOT resell these graphics. [NO] You may NOT sell Resale Rights to others. [NO] You may NOT sell Master Resale Rights to others. [YES] You may use any of the images included in the package on an unlimited number of your own personal sales pages, websites, and auction pages.